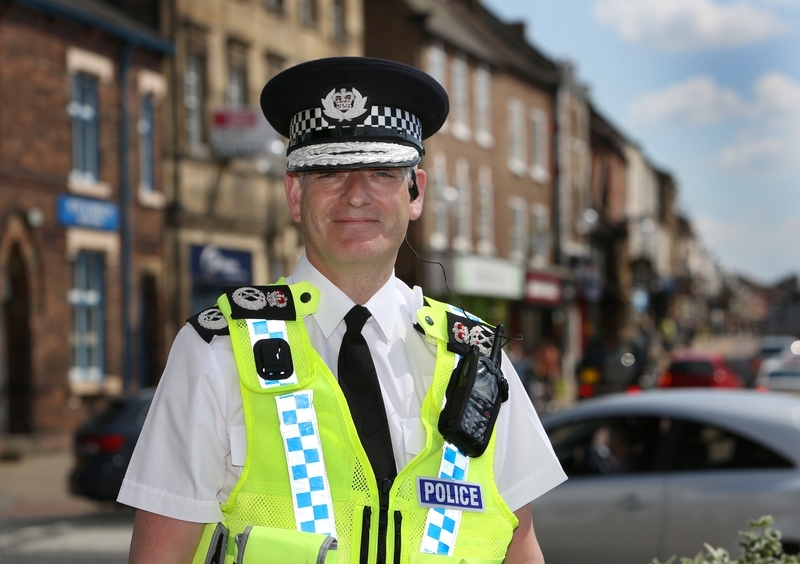 North Yorkshire Chief Constable Dave Jones has announced he will be retiring from policing immediately. CC Jones said he will be stepping down after 32 years’ service with immediate effect to “be with my family”. CC Jones was appointed as Chief Constable of North Yorkshire Police in 2013 – the first officer in England to be appointed to a Chief Constable role from the position of ACC. Before joining North Yorkshire Police, CC Jones served at Greater Manchester Police, where he held a series of senior positions. In 2008 he was promoted to Assistant Chief Constable in the Police Service Northern Ireland, where he was named NI Chartered Manager of the Year. In 2016 CC Jones took the helm of South Yorkshire Police after the force’s police and crime commissioner Alan Billings suspended Chief Constable David Crompton in the wake of the Hillsborough inquests outcomes. At first Mr Billings appointed deputy Dawn Copley but she quit within a day after it emerged she was being investigated over her conduct while serving with Greater Manchester Police. In June David Crompton won a High Court challenge requiring him to resign and Lady Justice Sharp and Mr Justice Garnham ruled that the "final decision to require the chief constable's resignation was wholly disproportionate". DCC Copley retired from her role last April. On January 1 2017 CC Jones was awarded the Queen’s Police Medal for Distinguished Service in the New Year Honours List. CC Jones said: “I have been proud to serve the community for nearly 32 years, but it is now time to step back and be with my family. CC Jones’ contract was extended by three years in 2016 meaning it was due to expire in June 2020. At the time Police and Crime Commissioner Julie Mulligan was criticised for renewing the agreement months before PCC elections, meaning a potential successor would have been stuck with her choice of chief constable. A spokesman for North Yorkshire Police said the force would not be offering any more detail on the announcement. Police and Crime Commissioner, Julia Mulligan, said: “It was with great regret that I have accepted Dave Jones’ decision to retire, but I completely understand and respect his wish to spend more time with his family. “I selected Dave Jones for the role of Chief Constable because of his impressive record of service in some of the most challenging environments in the UK, his clear determination, and his very deep commitment to community policing. “He promised to be a formidable leader, and he has absolutely lived up to that promise. His personal leadership and commitment to North Yorkshire Police – and the wider police service – has been exceptional, and he has done a great job in very challenging times. CC Sara Thornton CBE QPM, Chair of the National Police Chiefs’ Council (NPCC), said: “I would like to thank Dave for his tremendous contribution to policing nationally. In particular he has led the NPCC work on citizens in policing and rural crime. “He has been a board member of our staff association for many years, supporting colleagues through tough times, and he has been a committed and active member of Chiefs' Council. North Yorkshire Police’s current deputy, Lisa Winward, will assume temporary command until a permanent Chief Constable is recruited. PCC Julia Mulligan said she will appoint a temporary deputy by the end of the month and will launch the recruitment process for a new chief constable as soon as possible. “DCC Winward is a highly respected and experienced chief officer, and I am confident that the Force is in very safe hands, “ she said.